The F40 was made by Ferrari from the years 1987-1992. The F40 is a successor to the great Ferrari 288 GTO. The F40 was conceived by Enzo Ferrari before his 90th birthday. The F40’s top speed is 201 mph, 0-60 mph of 4.5 seconds. The F40 was designed to compete with vehicles such as the Porsche 959 and Lamborghini Countach. Who’s got a weak bladder then? F40’s are fitted with racing car style bladder tanks. These tanks sit in each sill. The bladders are ‘lifed’ for 10 years and cost about £13,000 to renew from Ferrari itself, although specialists can replace them for around £7,500. For £5,500 you can fit two aluminium tanks, although probably not a move the purists will pursue. Ferrari initially proposed to limit the production to 300 examples, but demand kept on coming so eventually 1315 were made. For those in the know the most sought after model (and yes there are variations) is a low mileage, an early non-cat, non-adjust, sliding window, British spec, accident free example. The F40 is most efficient with a low drag coefficient of Cd0.34. The F40 was styled by Pininfarina‘s Leonardo Fioravanti, the artist behind the Ferrari Daytona, Ferrari 512 BB and 308 GTB. 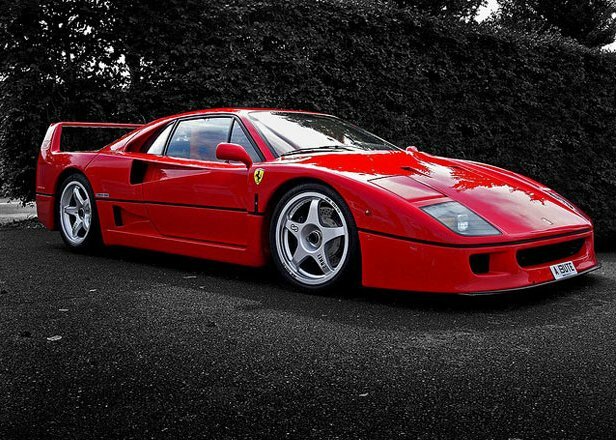 His previous designs were curvaceous and beautiful, yet the Ferrari F40 is sharp, angular and purposeful. Click here for more Ferrari F40 facts. The Ferrari F40 supercar will celebrate its 25th birthday this year and in order to celebrate in true Ferrari style, there will be a huge gathering of the supercars at Silverstone racetrack in the UK. Are you going? Have you got your tickets yet?  Well if you’d love to go to this year’s Silverstone Classic courtesy of MyCarHeaven visit our Free Tickets page and bookmark, so that you don’t miss out on our regular special offers.